Leasing Available from $23.92 per month! 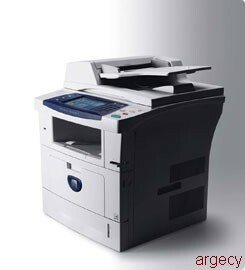 Perfect for small to medium offices with a need for a compact device that delivers a wide-range of features including: print, copy, scan (fax/LAN fax on 3635MFPX), duty cycle of 75,000 pages per month, print speeds up to 35 pages/minute, 8.5" x 14" paper handling and a maximum 1050 sheet paper capacity. Keep documents safe with Secure Print and Secure Fax, which protect your confidential documents by allowing you to require a password at the device before printing. For added security, image data from the device memory can be automatically "shredded" after every job and you can limit or restrict access to device functions. Advanced features including Scan to PC Desktop and Xerox Smart Send (optional) give you the tools to easily create, organize, store and send documents. Use USB direct printing and scanning to save to or print from any USB flash drive without using a computer. Save time by storing frequently-used forms or flyers on the device for easy printing whenever you need them. Color touch screen interface provides convenient access to all basic and advanced features. Control costs with Xerox Standard Accounting software which tracks and analyzes device usage by function. IT managers can remotely monitor printer status, configure settings and receive alerts with CentreWare IS internal web server. Dimensions (WxDxH): 18.6" x 18.8" x 21.4"; Weight: 48.6 lbs. Duplex Automatic Document Feeder: 50 sheets, 5.5"x8.5" to 8.5"x14"